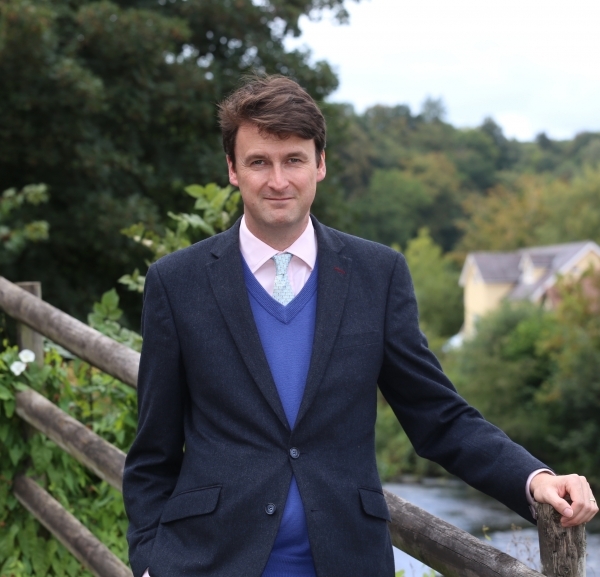 For us as agents, invariably the New Year sparks off a flurry of enquiries from home owners who are contemplating trading up, or down, to relocate locally or further afield. The first meaningful intention is to invite agents to value the house – as that will be a driving factor to properly evaluate your options. As good practice, two or three agents should be polled to give their thoughts on the house and when the prices come back, it is tempting to see the dangling lights of what one agent predicts against another. Why not go for the higher price, what is there to lose? Actually an excessively high price can put off buyers who may, once through the door have gone that extra £10k, because they recognise it is exactly what they want. A perceived “good buy” can also generate counter offers, taking you to precisely where you wanted to be. Due to Brexit the property market is seeing very variable valuations. It is prudent that you select: The agent who you think will provide the right advice and who is prepared to tell it how it is – rather than what the vendor wants to hear, simply to gain an instruction; the agent who will be at the end of the phone at that critical moment, however out of hours that might be and the agent who will stand your corner, when the time comes. Always look at the bigger picture. Does the offer help you to make that next move as New Year ambitions aspire to –and have you got your new home lined up? This year we would advocate back-to-back selling and buying – just to be the right side of any unknown Brexit vagaries. Does your agent know the market well enough for you to trust when guidance and counselling are required? No two sales are the same, but we, at Balfours, would like to think that if you are contemplating a sale – these considerations will stand you in good stead for the year ahead, wishing you a happy and fruitful 2019. Q: I’ve got a set of lovely old farm buildings, which are no longer fit for purpose. What are my options in terms of development? First of all you have to consider what purpose the farm buildings lend themselves to, structure, proximity and location. The options include residential – long term or holiday; commercial – offices, workshops, storage. You have to ask how any of these uses and activities could affect the rest of your farm business and indeed your lifestyle, either positively or negatively. Once you are comfortable that you can live and work with such a development, perhaps close by to the farmhouse, or to farm activities there is the matter of planning. How far do you want to take the farm buildings yourself? Do you want to retain ownership of the development and generate an additional income? Do you have the financial resources, time and expertise to take on such a project in addition to your farming activities? Or are you risk-averse, so perhaps it is better to take a clean break and re-invest in the farm or an alternative enterprise? If you are to choose the latter option of selling, there are a number of ways to secure a buyer, either via the open market or a joint venture. What timescale would be acceptable to you? Whichever way the sale is conveyed protection can be put in place, to ensure the safety of your neighbouring farm assets and the current enjoyment. Further, don’t under estimate the potential disruption while development work is taking place, such as the need for storage and site facilities and the site set-up costs. If you chose not to develop the buildings, what will become of them? 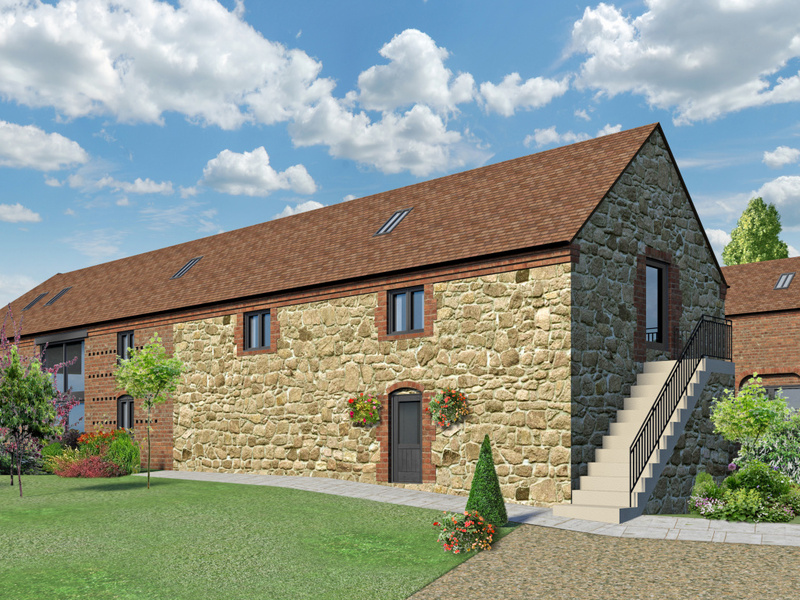 It is likely that there will never be an easier time to gain planning on redundant farm buildings. April 2018 saw the parameters for such projects extended to five residential units, or less with greater floor space. The soundest advice is to seek professional guidance and ensure that all stake holders and, or family members, are comfortable with the chosen route. Finally, it is worth remembering that there are a finite number of “old farm buildings” they don’t build them anymore – and diminishing supply always holds some residual value. A capacity audience attended Balfours’ annual professional briefing at the Mytton and Mermaid. 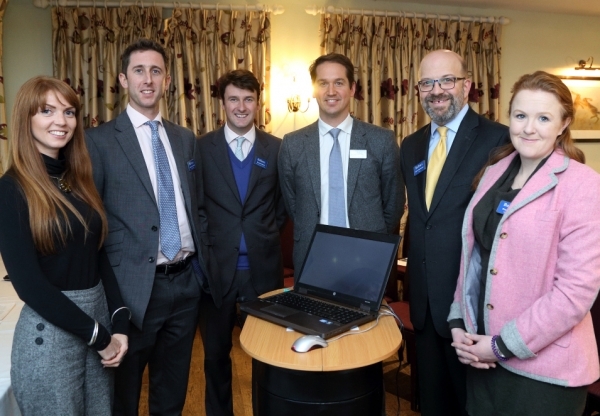 The Balfours Xtra event gave lawyers, accountants, bankers and other professionals involved in rural land and property matters an update on current legislation and the market place. 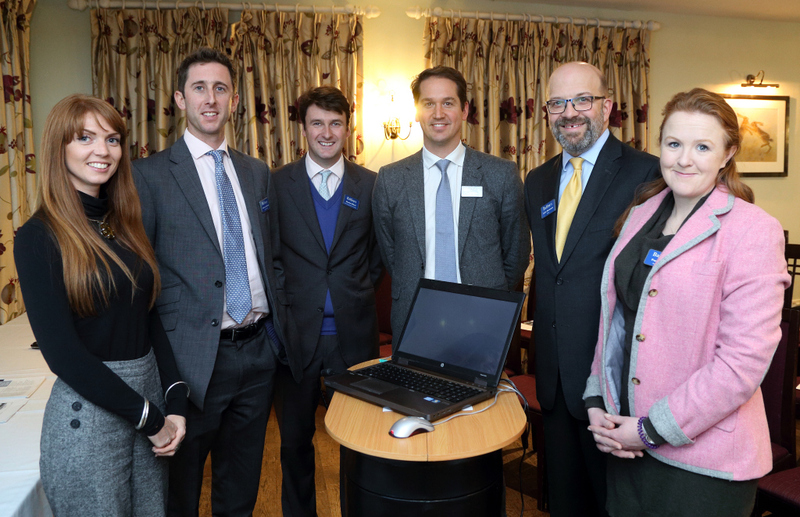 The whistle stop tour addressed a number of key areas in property and land management: Namely development opportunities; alternative enterprises; farming options, farm business tenancies and contract farming. 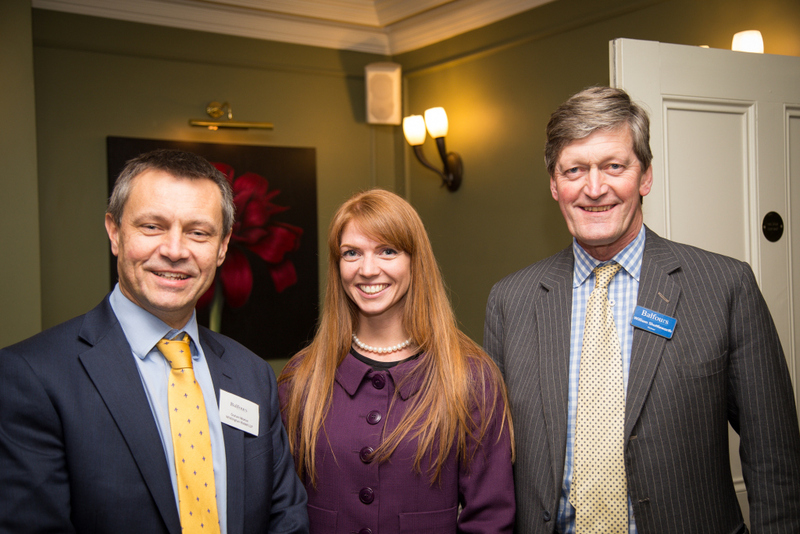 Alistair Hilton and Charlie Giffard addressed the residential property market, while Charlotte George highlighted the fast changing lettings legislation. Step-back and look up, then step inside. That’s all it takes to be enchanted by one of Shrewsbury’s grade II* listed, half-timbered hidden gems, according to agents Balfours. 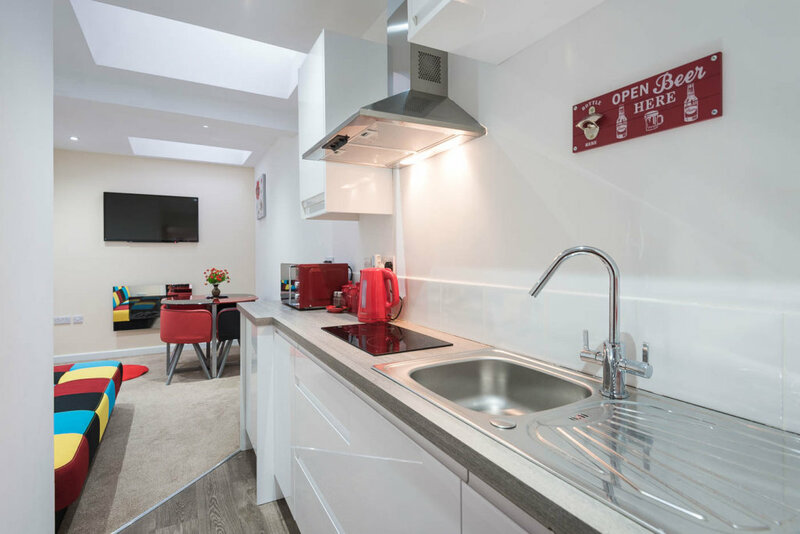 This eclectic residential and commercial package is located in Mardol, part of the town’s thriving centre; 26 and 26a Mardol currently comprises of two ground floor shops, incorporating shared kitchen and cloakroom facilities. 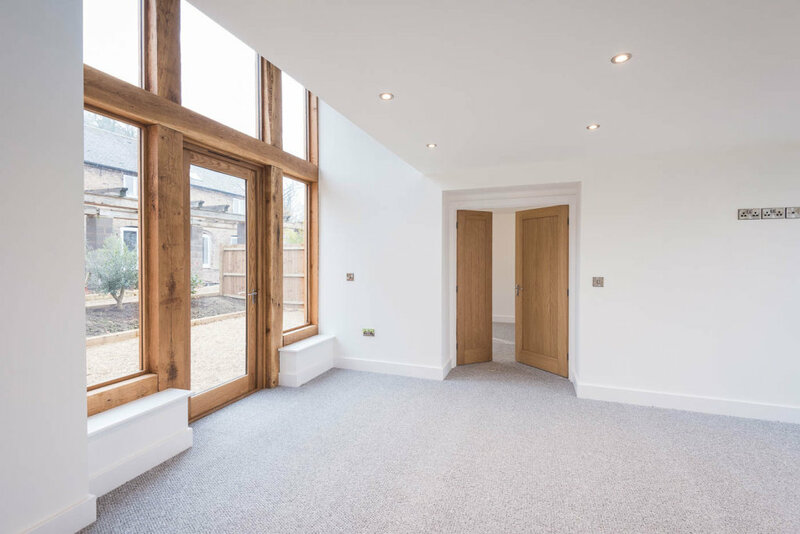 The first floor radiates a wow factor with its open plan half-timber living room, games room and dining room, plus separate kitchen and pantry – in all extending some 1000 square feet. There is also a porch, balcony and roof terrace to the rear. The well placed central stairs split to provide access to two generous double bedrooms, plus a third double bedroom and family bathroom. Then there is a separate duplex annex, currently used as a rewarding holiday let. 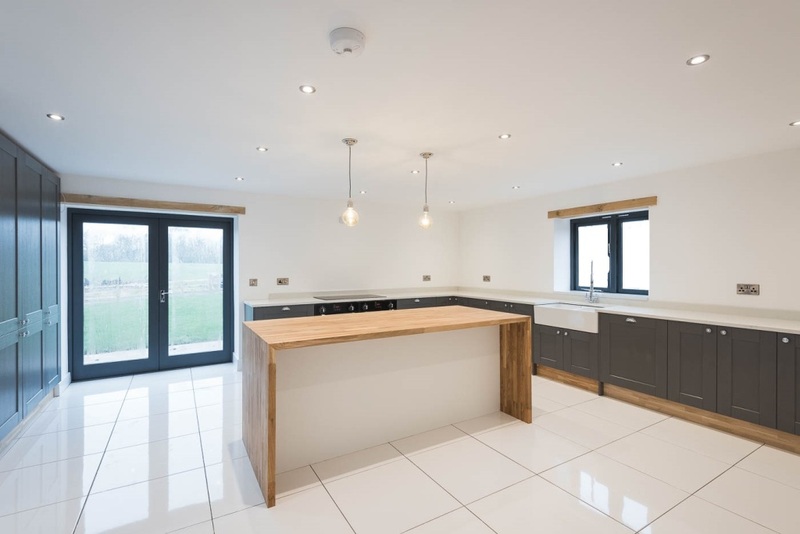 In contrast this ultra-modern annex has an open plan lounge kitchen plus two bedrooms and shower room. Balfours are marketing 26/26a Mardol with a guide price of £625,000. For more information call Balfours on 01743 353511. 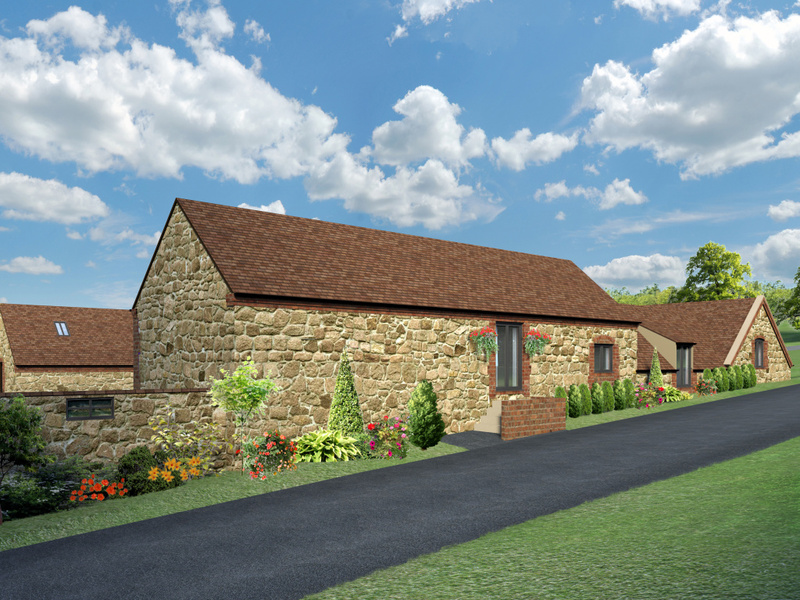 An exclusive development of four barns, in a prime location at Coalport, Shifnal has been launched to the market. Three of the four barns come with paddocks and all with stunning views, plus fibre broadband and underfloor heating on the ground floor. 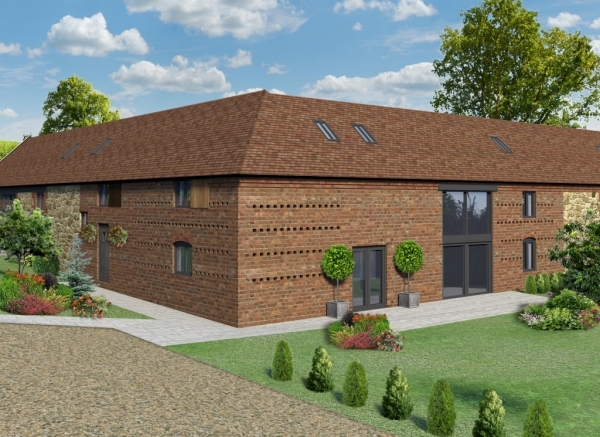 On the market with Balfours, Sonnet is the first barn to be completed. This four bedroom property enjoys imaginative living space finished to an impressive standard. The kitchen breakfast room is well equipped and includes an island and contemporary finish. The adjoining dining room and double doors to the living room offer a superb entertaining space. On the first floor the master-room is en-suite, while the family bathroom benefits from bath and shower; Sonnet comes with gardens, front and rear terrace and a 4.1 acre paddock. 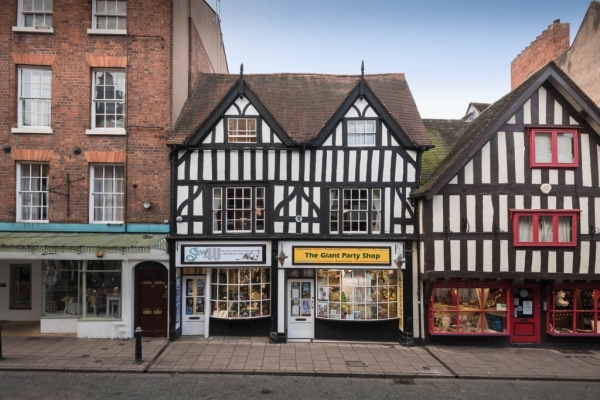 It is marketed with a guide price of £649,995. Mapletime is marketed at £615,000 and comes with a spectacular living room, open to the eaves, with gallery landing overlooking; three of the four bedrooms are on the first floor, including master room en-suite dressing and bathroom. Other assets include private driveway, parking and generous garden, plus 1.8 acre paddock. 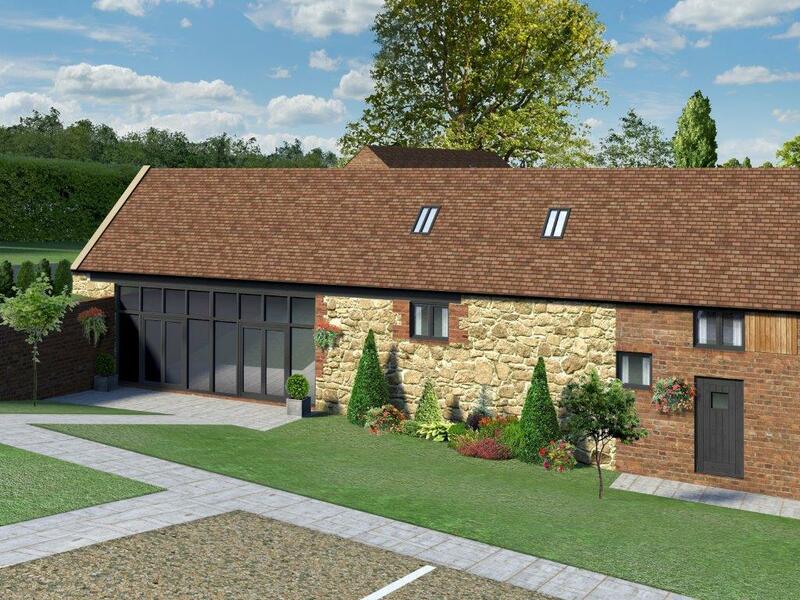 Yorkdale provides a luxurious three bedroom home with a three acre paddock and guide price of £495,000. 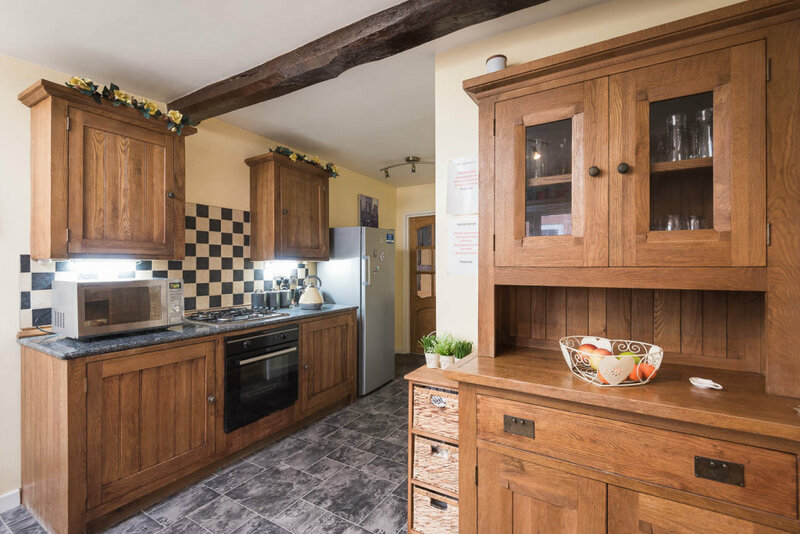 The fourth barn, Montdore, successfully expresses the enchanting history of this three bedroom barn conversion, which is marketed at £475,000, including, parking and garden. The Barns at Coalport are found just 1.5 miles off the A41 (Bridgnorth) and located six miles from Telford, while Wolverhampton and Shrewsbury are 18 and 21 miles respectively. Four golf courses are among the many lifestyle facilities within the locality.